All our engines ship within 3 days with no core charge. 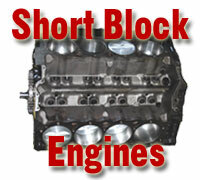 All MerCruiser , OMC, Volvo Penta , Pleasure Craft , Crusader and Chris Craft engines. Chevy 454 , Chevy 3.0 , Chevy 4.3 , Chevy 305 , Chevy 350 , Chevy 502 , Chrysler 318 , Chrysler 360 , Ford 302 , Ford 351W , Ford 460, and More . 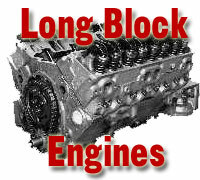 We offer Long Block, or Short Block, remanufactured engines (motor). Heads and parts also available. All engines are shipped by AIR ,and take no more that 5 days from payment to delivery(generally as little as 3 days) .Average national and international shipping is $150. We will also provide and pay insurance for the total amount of your purchase (beat that). Rebuilt engines;remanufactured engines,aftermarket engines, replacement engines,performance diesel engines,new engines, used engines, boat engines,high power engines,boat motors..